One of our favorite photographers, Sarma Ozols of Sarma and Co. 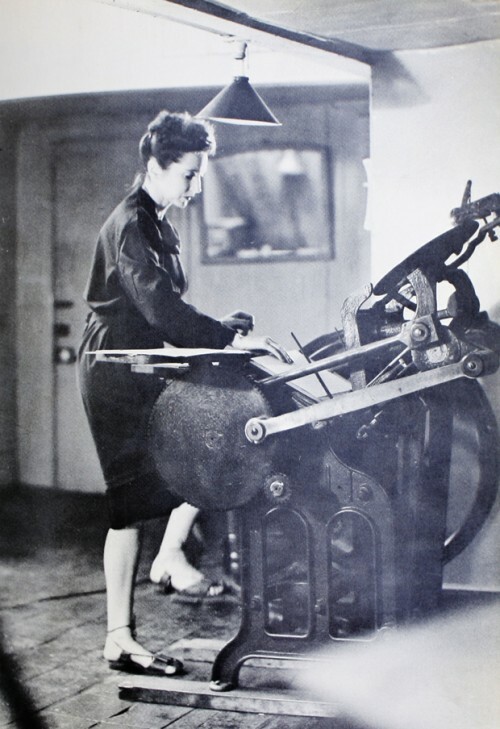 Photography sent us a link to this wonderful story by Maria Popova, titled Anaïs Nin on Self-Publishing, the Magic of Letterpress, and the Joy of Handcraft. "The relationship to handcraft is a beautiful one. You are related bodily to a solid block of metal letters, to the weight of the trays, to the adroitness of spacing, to the tempo and temper of the machine. You acquire some of the weight and solidity of the metal, the strength and power of the machine. Each triumph is a conquest by the body, fingers, muscles. You live with your hands, in acts of physical deftness." We love the perfect description of the satisfaction that comes from working with such an amazing machine. I wonder where her press is now...the laptop just can't compare.